Hello Foxy Friends! It's the new year and everyone is trying to get organized. Trust me I've been at The Container Store several times all all of the times I've gone it's been empty, they can't seem to keep stuff on the shelves everyone is trying to get their lives organized. I decided, with the help of a YouTube challenge, to finally organize my pantry. It was one of the last places I wanted to really organize, and figure why not! 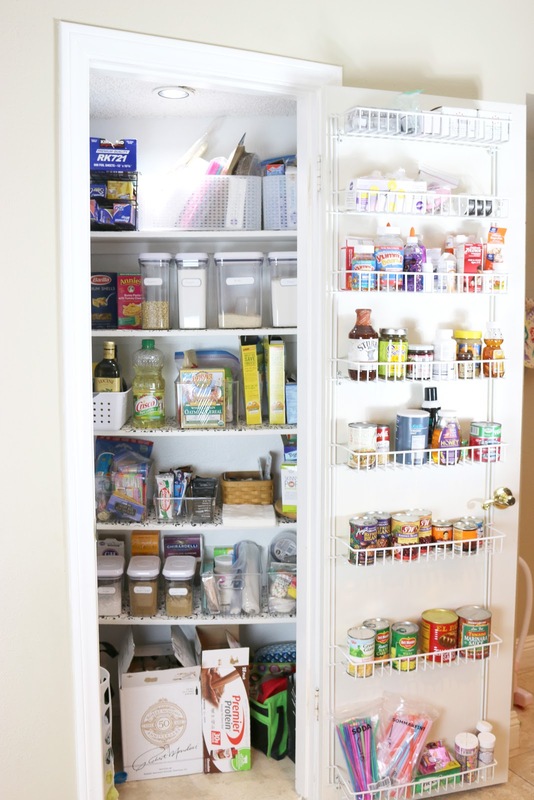 While doing my pantry re-org, I figured out some great tips. So I thought I would share them with you. Don't get overwhelmed. Just take it one step at a time. Remember that it's going to get MUCH, MUCH worse before it gets better. You HAVE to see what you have, so that means you have to take EVERYTHING out of whatever it is you're cleaning. It going to get messy, there is going to be stuff everywhere, but you know what? It makes the perfect time to purge. I can't tell you how many things I had in my pantry that were super expired, I'm talking 2-3 years past expiration date. I had to make dinner...so everything got pushed away. This was only 1/4 of the stuff I had on my counters. Every inch was covered in stuff. Yep I'm making bacon. 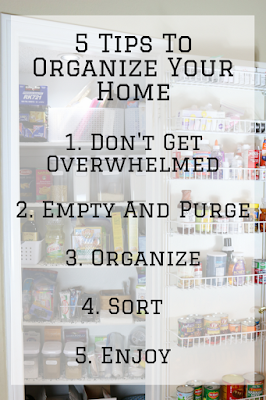 While you're taking the stuff out and purging, try to organize into like things. I know I found a bunch of stuff I didn't know I had in random parts of my pantry. 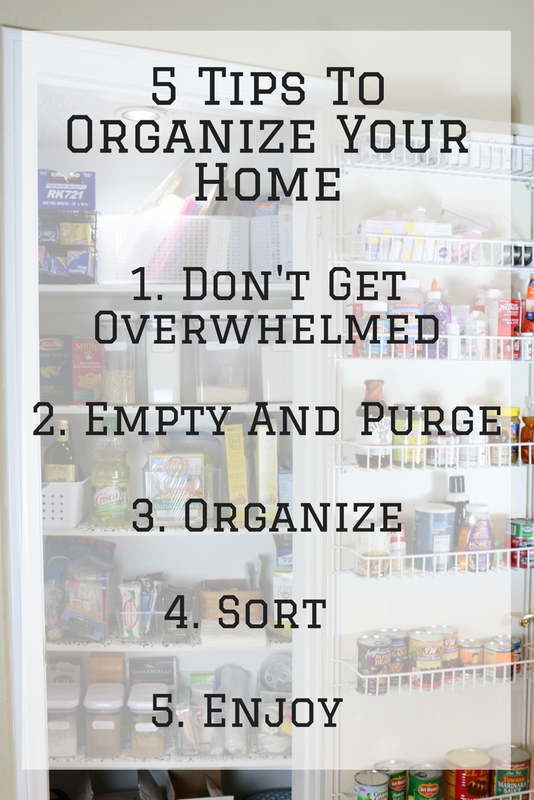 Once you organize you can figure out what sort of containers you can then go out and buy. Now that you're organized, sort them into the containers that you bought. Figure out the best way to store things, and whether it be how you use it, or with like things. 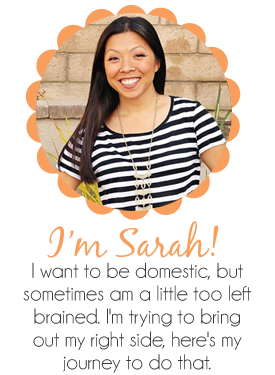 Either way, make sure it makes sense to you and your family because the whole reason you are doing this is so you can find things easier and not have to spend 10 minutes trying to find a pair of scissors. Now you get to enjoy the fruits of your labor. 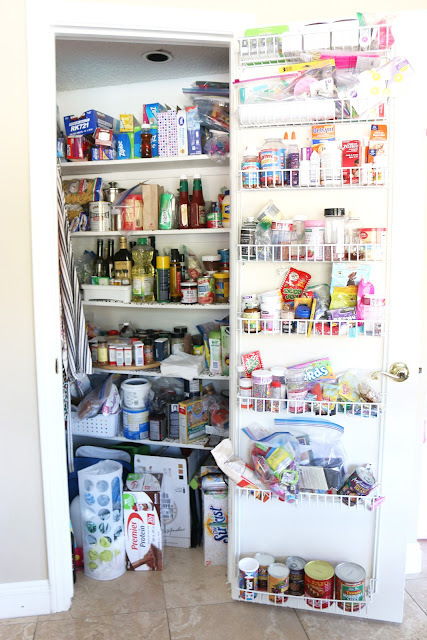 In all honesty, my pantry was a wreck! And it took me about 5 hours to get everything out, sorted and put back, in reality it took about a week because I had to wait for things to come in the mail and stuff. Now that my pantry is all organized, I really think when I'm at the store, do I really NEED this? Most times it's a no, so in a way I'm saving money because I know there won't be anywhere to put it when I get home, and I don't want it to go back to the way it was! Of course I made a video of my whole pantry organization. Take a look below, see not so hard is it? 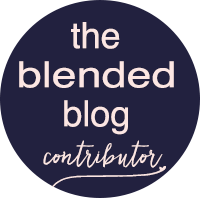 Friday Favorites #148 + Announcement!